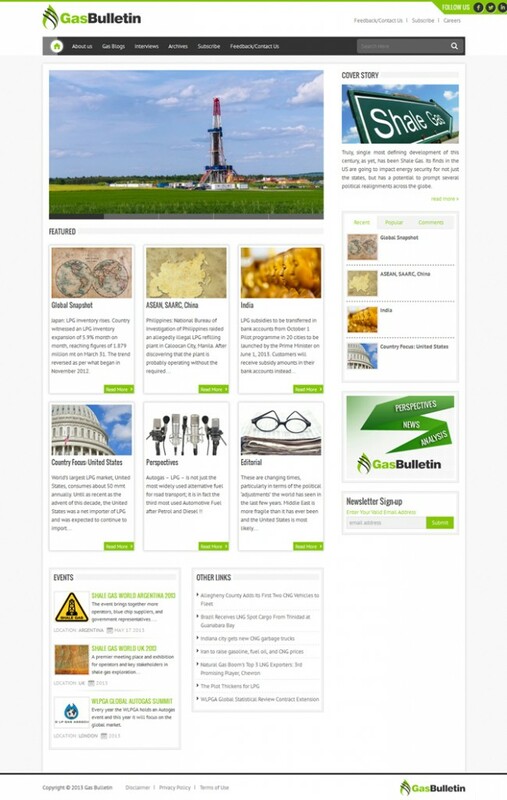 Gas Bulletin is an upcoming publication which has its online presence on WordPress. The website was needed fairly quickly and this website required a powerful CMS to be able to manage most of the content on the website in an easy way. In such cases, we always recommend custom WordPress theme design for a magazine style website. They looked at the Design Draft and immediately agreed to go ahead with the layout and the website was live in a short period of time. We wish them the very best for this publication and hope to be building a lot of features on the website as the business grows.